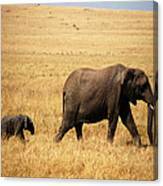 Wonderful, love seeing the "little" baby elephant - great composition! A fabulous wildlife portrait and capture! Wonderful capture of mom and baby! Perfect title!! Superb capture and title !!!! What a great scene and capture of it! Wonderful capture! Great details! Love the little one - who can resist a baby elephant! What a fantastic capture of mom and this little one...love it! 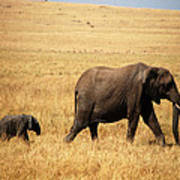 A mother elephant and her calf walk across the African savanna of Masai Mara Reserve in southern Kenya. 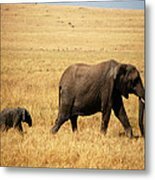 Elephants are a common sight on the African plains, but they are struggling for their survival. These two walked out in front of the jeep as we were making our way to the Mara River to photograph the wildebeest river crossing. 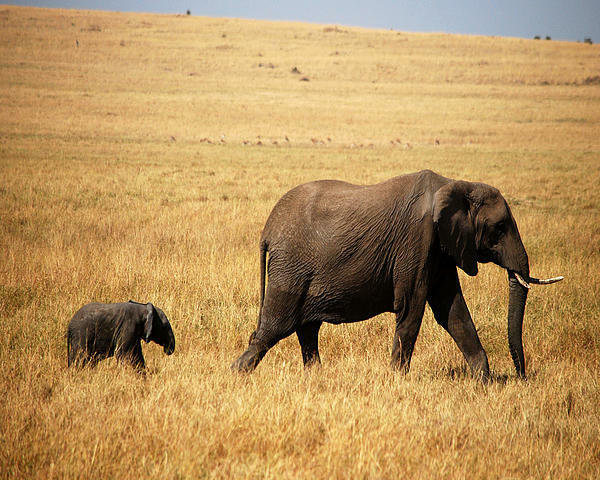 The calf is very young, younger than two, due to it's size and ability to walk under it's mother. Pamela Peters is the owner of Wild Radiance Photography. She is a wildlife and nature photographer from Richmond, KS. She is also an author and public speaker.